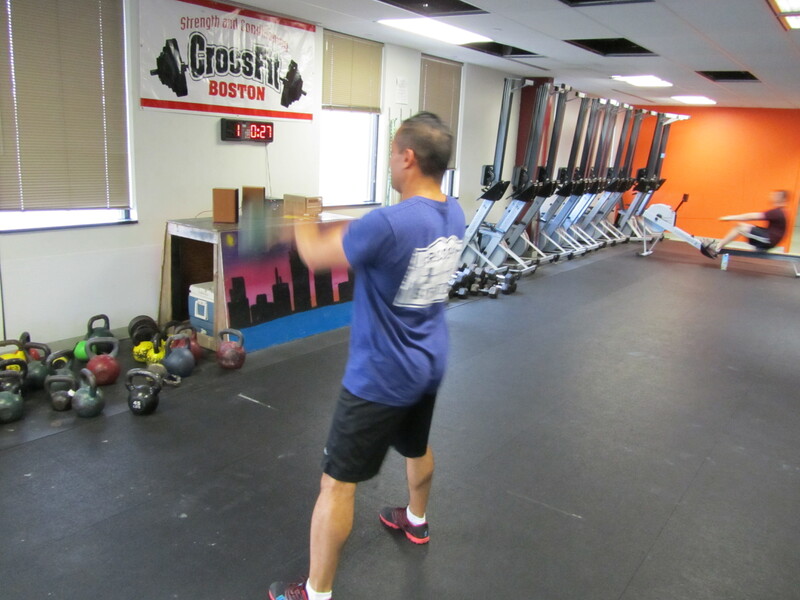 Come compete in a Rowing WOD at the CrossFit Rowing Course June 8-9 in Boston! Today’s Rowing WOD is an opportunity to focus on connection and suspension. Have good posture and try to suspend off of the seat with each stroke. Feel weightless on the seat but keep the forces horizontal so the seat stays with you. If you can combine this feeling with good connection between the seat and the hands at the beginning of each drive you will have infinite power! Good connection means you’re seat and hands change direction together and move at the same rate. They should cover the same amount of distance in the same amount of time during the first part of the drive. Feel for connection and suspension and crush this workout. To get a high score you’ll need efficiency in both the rowing and kettle bell swings. For the swings stay back on the heels, use the hips to move the weight, and keep a solid posture. Imagine you’re spreading the floor as you load the hips and drive through the heels. The kettle bell swing is a great tool to develop the glutes and hamstrings which are needed during the middle of the drive when we get our heels down. Try to feel the same activation when you get back on the rower and fight for smooth suspension. Have fun and post the total number of kettle bell swings you complete over the course of workout. If you can, it might also be nice to see the number of swings per round to see consistency. This entry was posted in Fitness, Rowing, Strength and tagged exercise, functional movements, mental toughness, recruitment patterns, rowing, sports, training by Renegade Rowing. Bookmark the permalink. 75 russian swings with 1.5 pod bell. had to work it hard to get 7 plus per round. Love that pace Chris! Way to push it on the calories!